When you take a volunteer vacation you have a unique opportunity to not only meet the locals, but to work alongside them and even stay where they live. It is a rich culturally immersive experience that is difficult to have when you visit a place as an average tourist. 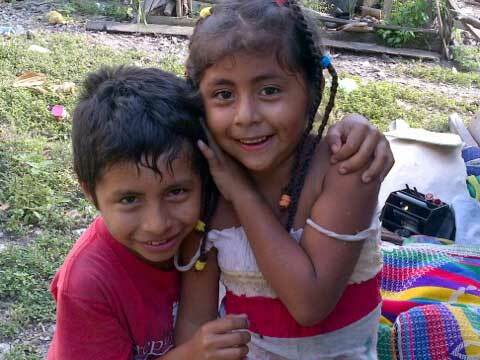 On our Costa Rica program, volunteers are invited into the homes of the local families for dinner, giving them a chance to connect with the people they are helping to serve. 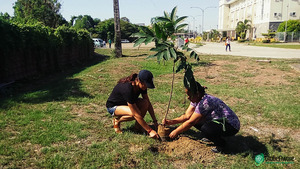 The nature of this engaging experience allows volunteers to develop an appreciation for a new country, people, and culture. Any of our volunteers will tell you the invaluable experience of giving your time to help others. It truly is rewarding to lend a hand to someone in need, and even the smallest acts can make an impact. Research as shown volunteering can improve your health, extend your life, and even lower the risk of depression. To put it simply- it feels good to help others. By teaching English, you are opening doors of opportunity to children. By installing cement floors, you are aiding in the health and well-being of a family. We believe this a win-win situation. Planning a vacation is time consuming! Save your time, effort, and worry by letting us take care of the all details - meals, accommodations, insurance, transportation. You only need to book your flights. Best of all, we hire knowledgeable and committed local coordinators as your in-country guides. And while being tax-deductible is not one of the more glamorous benefits, the opportunity to potentially save money by giving to a charity certainly doesn't hurt! Emerald rice fields, smoldering volcanoes, and beautiful beaches for days (years really!) make up the physical natural beauty found in the Philippines. What further defines this country this the hospitality of some of the most smiling and gracious people you might find. It is no wonder; our volunteers are enchanted by the warm and welcoming community in the province of Nueva Ecija (approx. 100 miles from Manila). 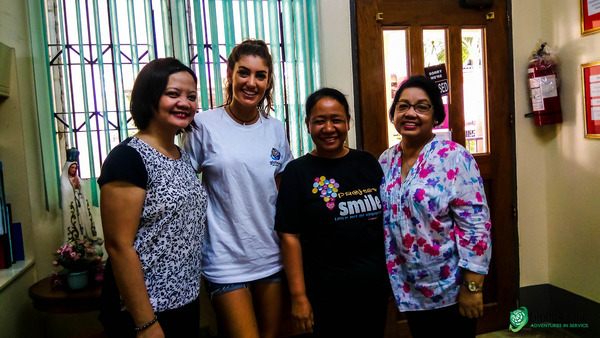 When you take a volunteer vacation to the Philippines you will be working with the community on projects that address sustainable holistic education programs, community development, and sustainable environmental campaigns. 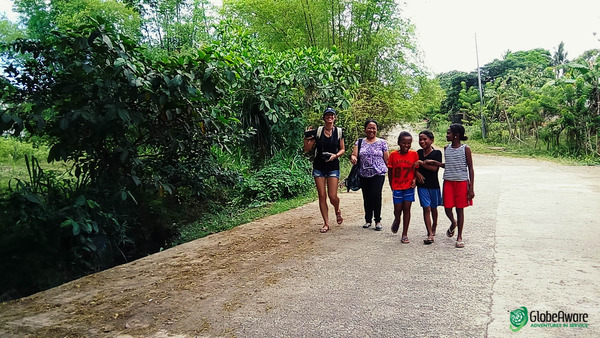 Volunteers will have the opportunity tour important historical sites, make traditional Filipino dishes, meet various tribes in the surrounding areas, and explore the Minalungao National Park for hiking and swimming. Take a minute to catch a quick glimpse into a week in the Philippines, have your heart warmed… then join us for a magical week of giving back. Come make an impact with us in The Philippines! Americans won’t be the only ones celebrating Independence Day this month. 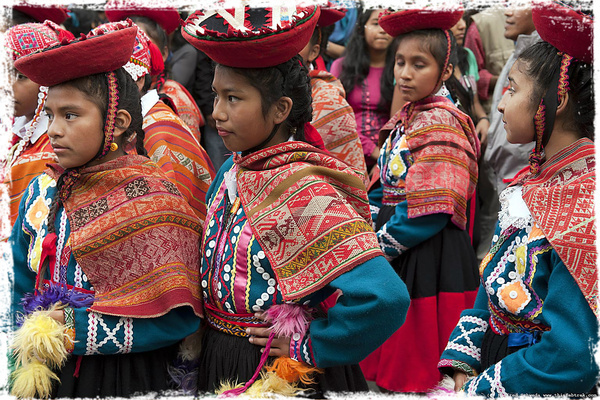 On July 28 Peru celebrates their independence from Spain in 1821. 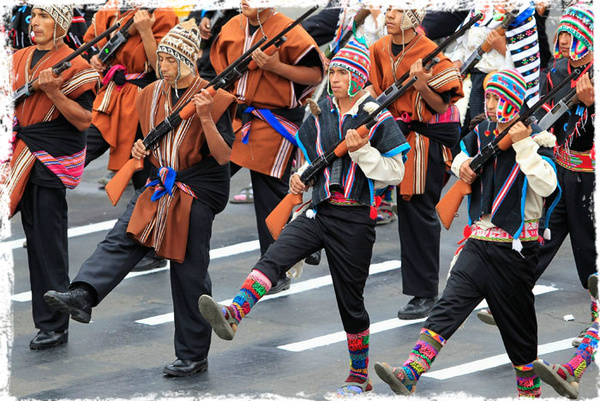 “Fiestas Patrias” is a two-day national holiday that is one of the biggest events of the year. Throughout July, the red and white national flag becomes a ubiquitous sight, while immediately before the holiday public parks and plazas across the country become stages for performances of criolla folkloric musical performances. In Cusco, there will be no shortage of fireworks celebrations and plenty of pisco! 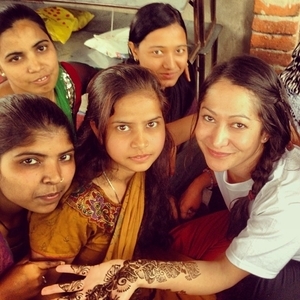 "This program was a really good mix of volunteer work, cultural excursions, and "downtime". What I particularly liked about this program was the opportunity for meaningful interaction with individuals - we spent a whole day with the family for whom we installed a cement floor (and most of the neighbourhood dropped by to check it out at some point), which provided a unique opportunity for relaxed interaction. Anne's library program is amazing and the volunteers got the sense that we were really needed/appreciated in this role of practicing English with kids and adults. Spending time with local change-makers like Danny at the Harmony Reforestation Project and Dona Maria, the 74 year old midwife/herbalist was an honour and a great learning experience for us. I've travelled a fair bit in Central America so there were not a lot of big surprises. Although I was a bit surprised at the large expat community in Flores/El Ramate - I was not expecting that. We met a fair number of retired Americans, Canadians and Europeans who were making their retirement savings go farther in a less developed country, but also volunteering and making a big difference in their community, which was inspiring. Also people still seem to have a perception of Guatemala as being dangerous: even well travelled friends were concerned we were going there. Which is not the case at all, of course. We felt quite safe walking the streets and did a bit of exploring on our own, walking into El Ramate or taking the local chicken bus into Flores. Ceviche is the signature Peruvian salad of raw fish cooked in lime juice and spices. 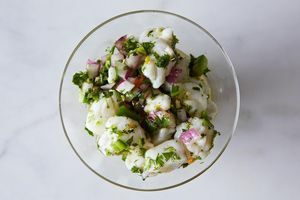 Impress your friends with a delicious, yet simple Peruvian Ceviche- perfect for hot summer nights. Serve in a chilled martini glass, garnished with plantain chips or tortilla chips, and slices of avocado.